They’ve done it twice before and later this month they’re going to be doing it all over again. Yes, the team at Onelove is wheeling out the third volume in their popular ‘Dubstep Invasion’ series, once again bringing together some of the world’s hottest dub artists and popping them on a double disc set under the guiding hands of two of this country’s finest dub purveyors. Mixing things up on the first disc are Sydney duo Glovecats, who’ve lent their hands to the compile series twice before. They get their mitts on tracks by the likes of Kaskade & Skrillex, Flux Pavilion, Krafty Kuts, Nero and Rusko, as well as dropping in a couple of their home-grown numbers in ‘Mystery’ and ‘The Wall’. Disc two, meanwhile, is compiled by Perth-based producer Phetsta, who brings together cuts by Knife Party, Grafton Primary, Bombs Away, Calvin Harris, Mind Electric and Avicii, some of which the producer has remixed himself. 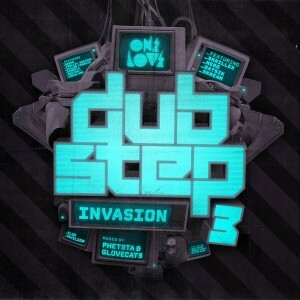 With 43 tracks in all, you’ll discover ‘Dubstep Invasion 3’ online and in-stores this Friday.